Da-cu and Emyr Rhys try to tidy up before Nain gets home! 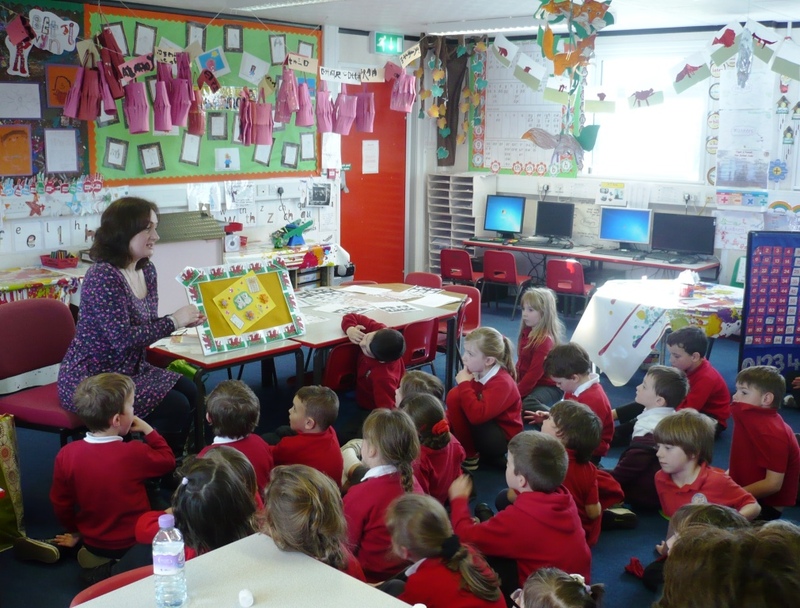 It was lovely to go back to Ysgol y Castell, where I used to teach. 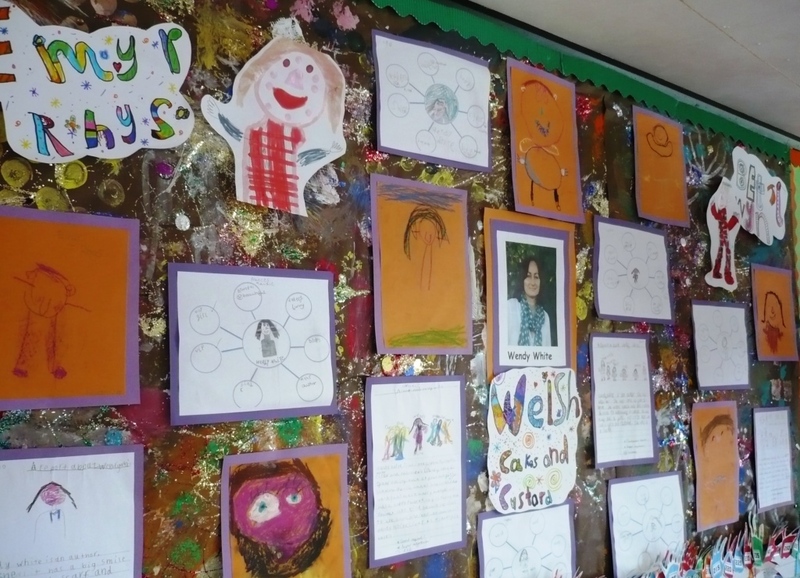 A great ‘Welsh Cakes and Custard’ wall display by Year 2.